The use of complex graphs in case interviews has exploded. You have a very short time to look at the graph, analyze it, extract what s important and apply it to your answer. 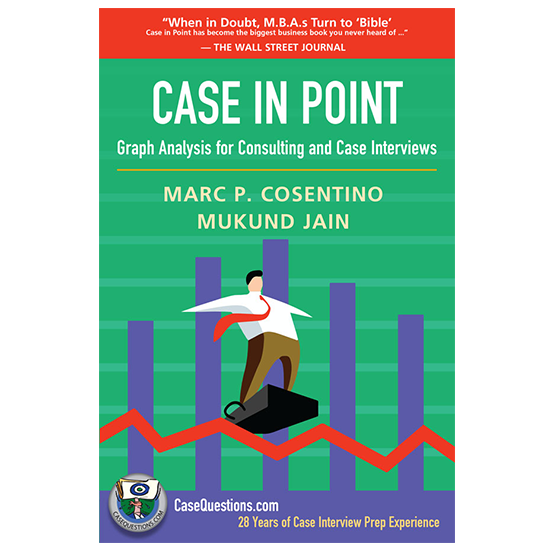 This book was designed to help you understand the role of graphs in consulting (both during an interview and on the job). The authors introduce the Ivy Graph Framework, which will allow you to analyze 11 of the most popular graphs quickly, completely, and with great confidence. In addition the book provides eight sophisticated cases with numerous graphs per case and allows you to see how these cases unfold. There is nothing else out there like it!